After a little over a year of legal adult-use cannabis sales, the government of Nevada wants more. As of Friday, September 7th, 2018, the state government has begun the application process for new dispensaries in within the state. The application window is only open until September 20th and it is expected that already existing businesses will apply for additional stores as each location has to obtain a permit to operate. According to state data, Nevada sold around USD 425 Million of recreational cannabis within the first year and the state wants to continue to grow the budding industry. With licenses expected to be given out to qualified applicants on December 5th, and license holders will have 12 months to become operational. As Nevada is heavily reliant on tourism to sustain its economy, the cannabis business could become of major importance and additional dispensaries in high traffic areas are still necessary. According to Clark County Commissioner Chris Giunchigliani, the people voted for cannabis to be legal throughout the valley, and as such, they should have access to it without traveling lost distances. Clark County currently sits at the top of the dispensary list, being home to 47 cannabis stores and the state will determine the amount of new licenses given to the county based on the number of applications. As an example, one of the current dispensaries, Oasis Cannabis, a subsidiary of CLS Holdings USA, (OTCQB: CLSH) had recently reported an increase in August sales from the same month last year, demonstrating the growing cannabis business in Las Vegas. The fully integrated cannabis operation reportedly generates USD 850,000 in revenue per month in addition to the 11.8% increase in August sales for its currently lone Las Vegas location. The subsidiary may apply for additional licenses this month, as CLS Holdings CEO, Jeff Binder, suggested earlier in the year. Oasis Cannabis is currently improving its layout, signage and marketing in an effort to expand their influence in the county after CLS Holdings had closed USD 5.75 Million in funding from Navy Capital in early August. The Company also intends to monetize their patented extraction method in an effort to improve yields in cannabis processing and create a better product for both recreational and medical use. 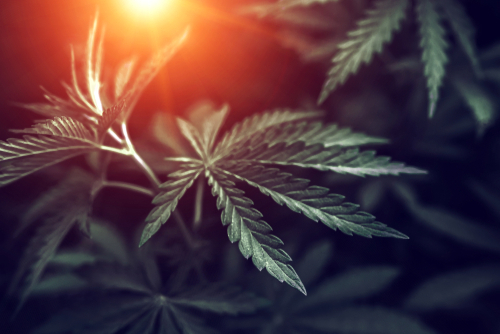 With major U.S. corporations like Constellation Brands Inc. (NYSE: STZ) and Molson Coors Brewing Company (NYSE: TAP) having invested in Canadian companies with an eye on the October 17th date for recreational sales and a Canadian Cannabis ETF recently surpassing USD 1 Billion in assets, the North American region is ready for additional cannabis market growth.